From Wikipedia, the free encyclopedia. 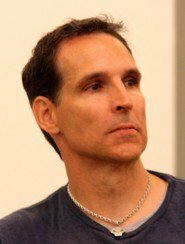 Todd McFarlane (born March 16, 1961) is an Canadian cartoonist, writer, toy designer and entrepreneur, best known for his work in comic books, such as the fantasy series Spawn. In the late 1980s and early 1990s, McFarlane became a comic book superstar due to his work on Marvel Comics' Spider-Man franchise. In 1992, he helped form Image Comics, pulling the occult anti-hero character Spawn from his high school portfolio and updating him for the 1990s. Spawn was a popular hero in the 1990s and encouraged a trend in creator-owned comic book properties. Since leaving inking duties on Spawn with issue #70 (February 1998), McFarlane has illustrated comic books less often, focusing on entrepreneurial efforts, such as McFarlane Toys and Todd McFarlane Entertainment, a film and animation studio. In September, 2006, it was announced that McFarlane will be the Art Director of the newly formed 38 Studios, formerly Green Monster Games, founded by major league baseball pitcher Curt Schilling. McFarlane used to be co-owner of National Hockey League's Edmonton Oilers but sold his shares to Daryl Katz. He's also a high-profile collector of history-making baseballs. Description above from the Wikipedia article Todd McFarlane, licensed under CC-BY-SA, full list of contributors on Wikipedia.